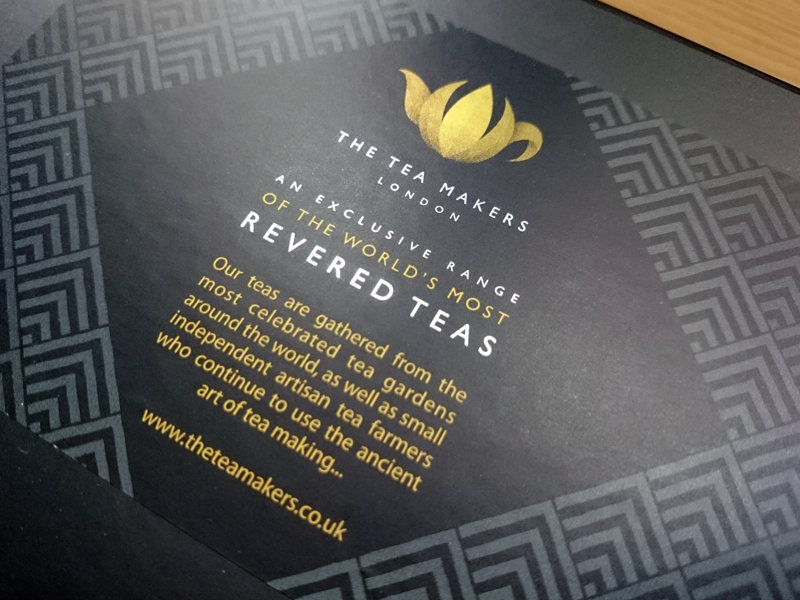 From the silky black packaging and intricate metallic detailing on the labels, The Tea Makers products exude quality and luxury. Although there is a time and a place for a good cup of PG, I have really been enjoying proper, loose leaf tea lately. With the sheer volume of choice, trying different blends is a really enjoyable sport too. TTM are a very good place for niche blend, be it flowering, rare, aged or monkey picked (yes). I can't recall ever trying Oolong tea. The curled balls of leaves, dried in the sun then twisted and rolled, are very distinctive and oh, my...I'm hooked. The Taiwanese Jin Xuan (Milk) Oolong was so refreshing, yet delicate with a slight floral note of jasmine and apricot. Due to the production it is understandably pricey but worth it. Even the English Breakfast tea was an enormous leap in flavour from supermarket brands. 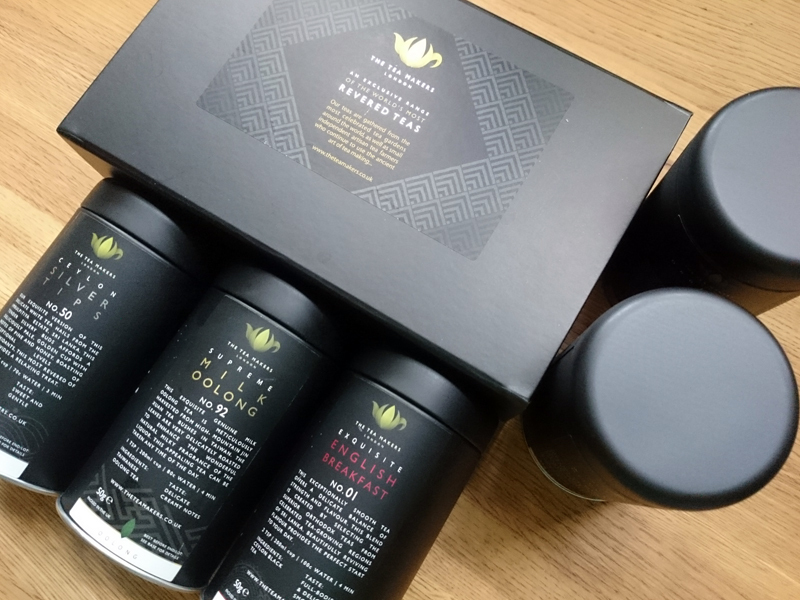 Although the individual black tea caddies are attractive in themselves, a selection box makes for an impressive gift. 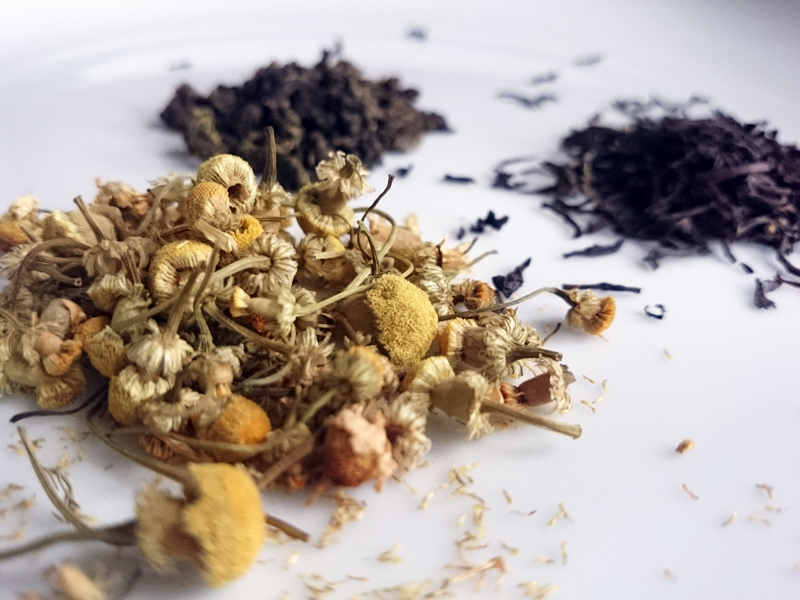 Mine included Organic Chamomile Blossoms, Iranian Whole Rose Buds and Rare Ceylon Silver Tips. I always go for a silver tip if I'm having a decent afternoon tea and it's nice to enjoy it at home too. Pale and delicate, it is the most prized of all white China tea, picked from the first leaf buds of spring when still tightly furled, hence their silver colour. Initially I wasn't sure about the "magic" Tea and Coffee Maker / Infuser they had included, thinking it to be a gimmick item but I've used it almost continuously since I unpacked it. Sure, the leaves look pretty in the transparent jug but I've been after something functional to infuse loose leaf tea for ages. A teapot and hand held strainer is a faff at your desk, the ball infusers always leak leaves. This brews the tea then automatically filters it directly into your cup when you place it over it. It's just a simple valve but by far the cleanest, easiest way I've tried so far. Love it! I've really enjoyed trying these and instead of mindlessly glugging down a mug of tea, the quality of these blends have made me take a proper break in my typically frazzling days to carefully prepare and then savour them. Although I take my food seriously, I've always seen tea as a commodity item but the tea makers have shown me that quality should exist in all corners of your kitchen cupboards. I was sent these products to review. Words and thoughts, as always, my own.